recommended for: Fans of psychological thrillers, of books like Everything, Everything by Nicola Yoon (caveat: EE has been called out for bad disability rep) and If You Find Me by Emily Murdoch. I'm really struggling with how to rate this book. If I were to rate everything up until the final few chapters, it would be an easy four stars, perhaps more. Barr took a difficult concept--drastic anterograde amnesia, aka the inability to form new long-term memories--and made it work. With sensitivity and compassion, I thought. And with painstaking accuracy. Flora literally forgets everything new every half day or so, so each new chapter is partly her figuring out what's happened since her last memory. It's sort of annoying but that's the point, because this is how Flora lives. It's like being in her head. Her voice is rather young, which is also perfect for her character. Her memories stop at age 10, when she had her tumor, so part of her is still childlike. It brings up so many existential issues. Who are we without our memories? Do we have a self if we can't incorporate and integrate new information? Or, more accurately, what does that self consist of? It's also terrifying and thrilling to see how Flora navigates her world, using post it notes and arm writing to remind herself where she is, who she is, what she did last and what she needs to do next. Her whirlwind adventure to the arctic is all the more nail-biting because you're so freaking worried for her, because you think she might get hurt and you're also increasingly concerned for her emotional stability. Her adventure has a few holes in it. Would parents of a girl with that much brain damage really leave her alone without making sure she has a guardian? Or let her go to parties? Would strangers really be that helpful and kind? These points felt unrealistic, but I could overlook them. It was the last part I couldn't. 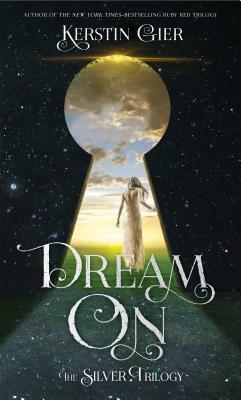 A great many things are revealed in the final chapters about Flora and her past, both recent and remote. Some decisions are made. I'm going to try to be vague. I just wanted to scream my head off because 1. one of the big plot twists was thrown out only to be totally ignored and 2. no ethical, empathic health professional would make the calls that were made. I feel like it was not only realistic, but damaging to people who might have similar conditions and are impressionable. Why, whyyyyy? If not for that ending, I'd have really loved this book. As it stands, it was incredibly enjoyable during the reading, but left a sour taste in my mouth. I'd recommend it for certain readers who aren't easily triggered and have a mature understanding of mental illness (like many horror movies/books with mentally ill people, it's most damaging to people who don't know better), but not so much otherwise. It's very beautiful and shiny but, as a mental health professional, I can't get over the way memory issues and meds are portrayed. For spoilers, highlight the next two bullet points. I just can't discuss these things without spoilers. It turns out that Flora's memory of kissing the boy are wrong. She didn't kiss him, she watched him kissing someone else and when this miracle memory was formed, she inserted herself. She then wrote herself emails from him, carrying on a correspondence that convinced her they had a relationship--because of course she forgot that she had done it. All this was fine. Interesting, even, because delusions (I say this in the strictest clinical sense of the term, no judgment meant) are a really scary and misunderstood problem. It could have been a great discussion of this (like Belzhar), but instead it was never mentioned again. Like, is no one concerned what this could mean for her mental state!? She could be in danger of a psychotic break! Second, it's found that Flora has Bipolar disorder (so did her brother) and many of the wild things she does are during manic episodes. She's actually gone and run away several times. And her brother convinces her to go see this neuroscientist who wants to take her completely off her meds, so she can be wild and free and not live under her parents thumb. I mean, that's all well and great, but do you know how dangerous that is? I'm not advocating for her to be institutionalized or over-sedated, but actual people with Bipolar disorder often come to incredible harm during their manic episodes. It's not some wild, awesome thing; it's really really scary for people who go through it. PLUS if she still does have this memory loss, she's at extreme danger of being manipulated, raped, abused, let me count the freaking ways. If the ending were portrayed as something bad, like, as a proper thriller, like this neuroscientist is taking advantage of her to further his own twisted science, then it would at least be accurate. But as is, it trivializes the very real struggles of people with these conditions. It's like, WHO NEEDS MEDS? JUST ENJOY YOUR AWESOME FREE SPIRIT AND RUN AWAY FROM YOUR PARENTS. I'm shaking. 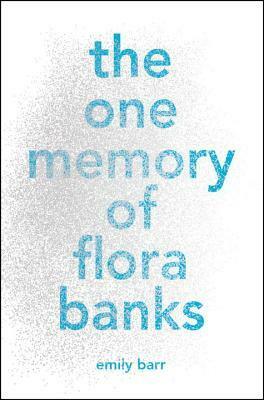 The One Memory of Flora Banks is a breathtaking thriller that executes a daring concept well--but it fails dramatically in accurate, appropriate presentation of mental illness. Which is fine if you're old and mature enough to know better, but I worry about the effect on impressionable teens. will i read this author again? I don't knooooooow, maybe she'll get better? She's very talented.